Since WordPress is a fascist regime that frowns upon the public demonstrations of opposition and the use of certain liveblog applications, Ill be Live Tweeting the Cotton Bowl festivities over at the FOTP Twitter. 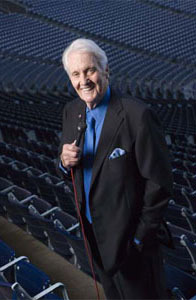 Stop by, for no other reason than to have an annotated list of corrections for all of the names and factual information that Pat Summerall is sure to blow through with all of the gusto of a man with little time left and little to lose and a live mic in his hand possesses. This entry was posted in College Football and tagged Cotton Bowl, Liveblogs, Ole Miss Football. Bookmark the permalink. i thought “eugene” davis had a nice game.